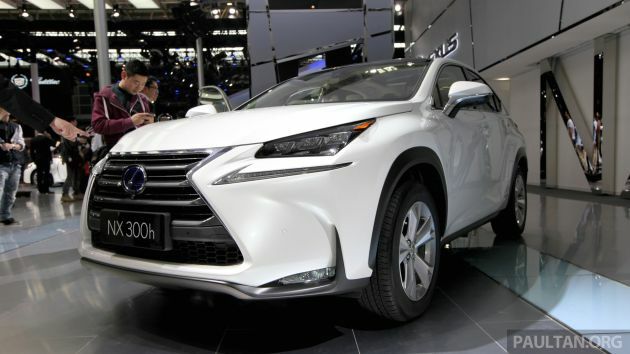 After the first wave of photos were released last week, here comes the full official details of the Lexus NX compact SUV, or crossover according to the Japanese premium carmaker. Three engine options will be offered – the NX 200, NX 200t and NX 300h; each available with either front-or all-wheel drive. The NX 200t is the most interesting engine variant here, as it is the first deployment of the new Toyota/Lexus 2.0 litre petrol turbo engine. It’s rather late to the game – as BMW, Mercedes-Benz and Audi have had such an offering for a long time now – but at least it will have respectable/competitive output figures. Maximum power is 235 hp between 4,800 and 5,600 rpm, while 350 Nm of torque is available from 1,650 to 4,000 rpm. For comparison, the equivalent BMW TwinPower Turbo ‘28i’ unit makes 245 hp at 5,000 rpm and 350 Nm of torque from 1,250 to 4,800 rpm. Lexus says the new powerplant has been engineered for “excellent fuel economy, agile performance and responsiveness,” featuring a world-first combination of water-cooled cylinder heads, integrated exhaust manifold and twin-scroll turbocharger. No doubting its sophistication, then. In the NX, the turbocharged engine is matched to a six-speed automatic transmission. Specifically tuned for this application, it uses a new torque-demand control logic, which calculates and maximises the required engine torque to deliver quick response to throttle inputs and high fuel efficiency. The NX 200 is less advanced, but gets its own unique transmission. No power outputs have been revealed for the naturally-aspirated 2.0 litre unit, but it’s said to benefit from Valvematic technology and a high compression ratio, while working with a new, electronically controlled S-CVT/Multidrive sequential shift gearbox. The range-topper, in true Lexus style, is the hybrid NX 300h variant. It uses a 2.5 litre Atkinson-cycle engine paired to a generator, electric motor and battery that delivers a total system output of 195 hp. Exclusive to the hybrid variant is a sprung-weight damping control that increases ride comfort and handling stability. Other models can be specified with Lexus’ new-generation Adaptive Variable Suspension. Controlled through the Drive Mode Select system, the level of damping force can be tailored to suit either optimised ride comfort or body control. Other standout features in the 4,630 mm-long vehicle (with a 2,660 mm wheelbase) include the Panoramic View Monitor and Adaptive Cruise Control. 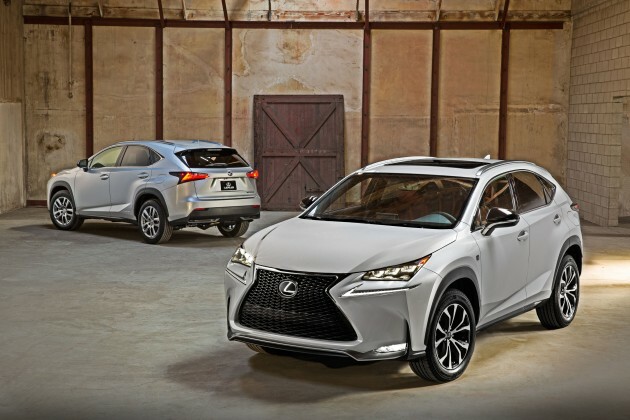 The former uses the highest resolution camera fitted to a Lexus, and the latter matches the NX’s speed to the vehicle in front, down to a complete stop – a first-in-segment feature. PRICE CAN NEGO,UNREGISTER,GOT 7 UNIT,Lexus RX200t 2.0 Luxury,CRAZY PRICE DONT MISS OUT!!! Happily waiting for grey importers to bring in these cars! Very nice, the BMW looked outdated now. I don’t get the design too. I believe it looks great when they sketch the design on paper, but in real life I don’t get it. this thing competes with the X1, GLA and Q3. Those SUVs you mentioned are bigger than the NX. now put that 2.0T into the IS, and get rid of the IS250, you will have a winner in your hands Lexus. optimus prime’s cousin may want to consider this machine as his bride. looks very nice, probably 300K for this, then most important of all, it drives like a sampan. This SUV would make Darth Vader proud! CX-5 was a head turner but this NX will turn head upside down. can’t wait for the next MURANO.Good job japan…bring it on!!! If this is released by Lexus Malaysia @ $270k. I will buy 2 and recommend all my friends to buy it. We just have to wait and see whether any recall will be done..